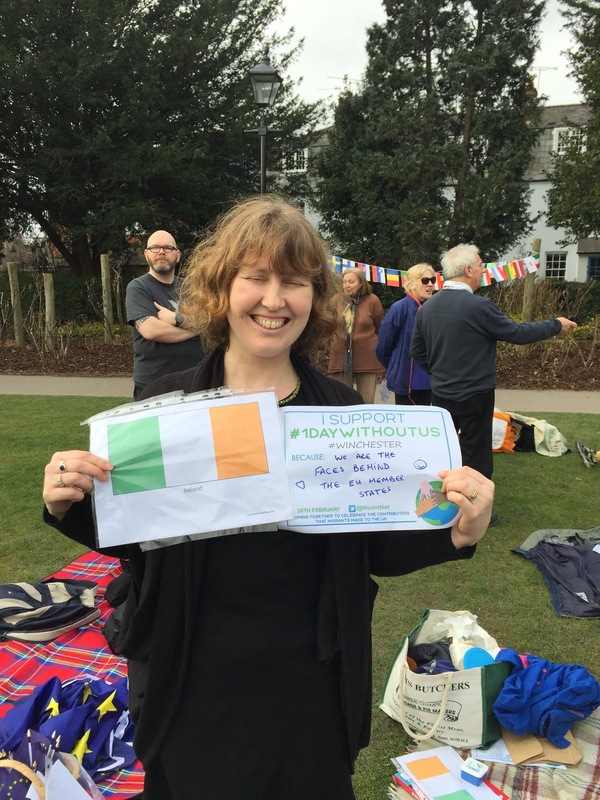 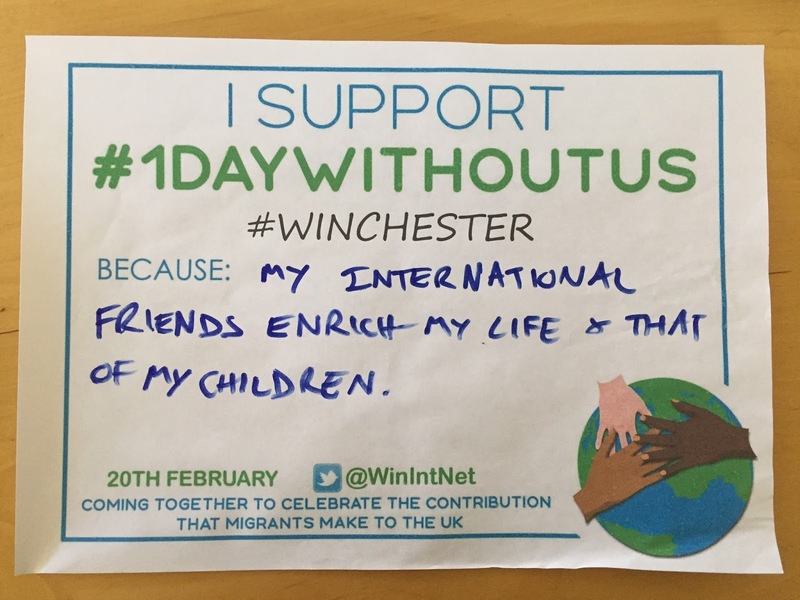 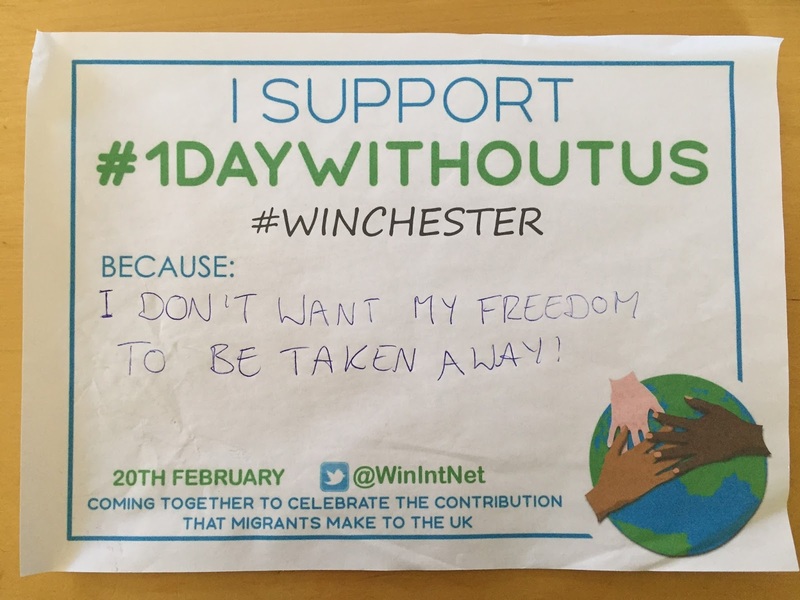 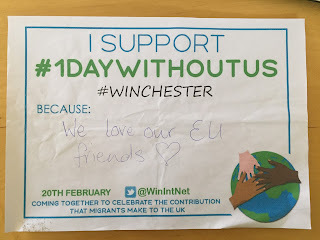 Win-IN: We had our #1DayWithoutUs picnic! 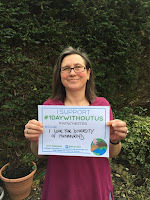 What an exciting day this was for me! 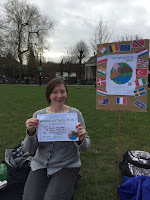 You have to understand I'm not a public talker at all (more of a writer at heart) and to organise something like this, where I knew I had to talk to lots of people (and possibly people who I don't know! ), was quite daunting! 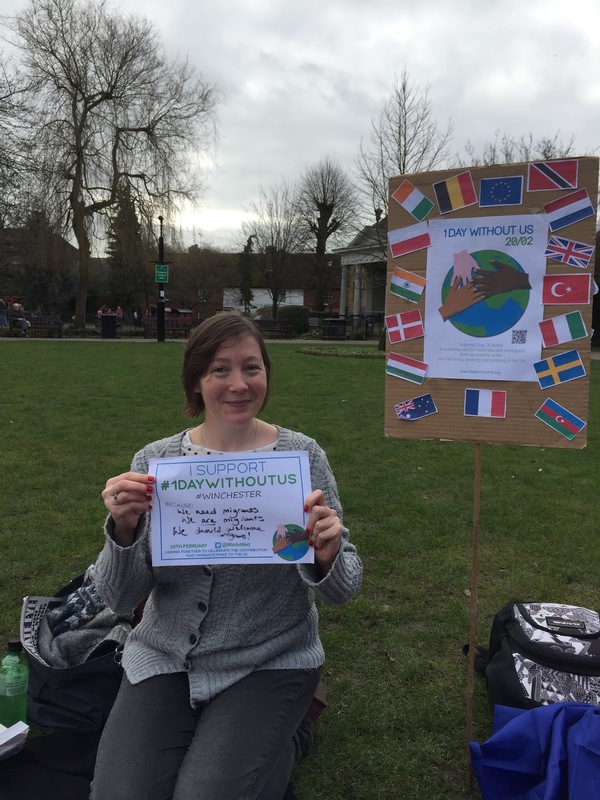 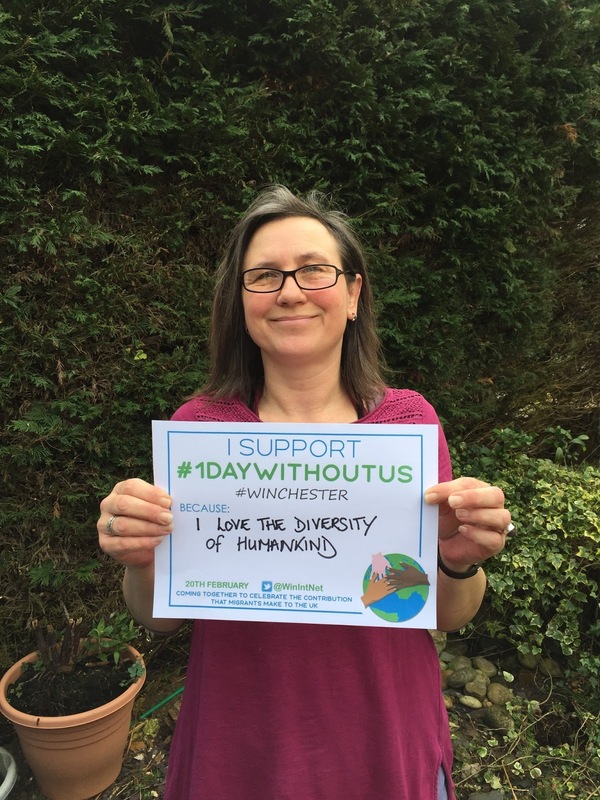 Today was the 1DayWithoutUs action day in the UK. 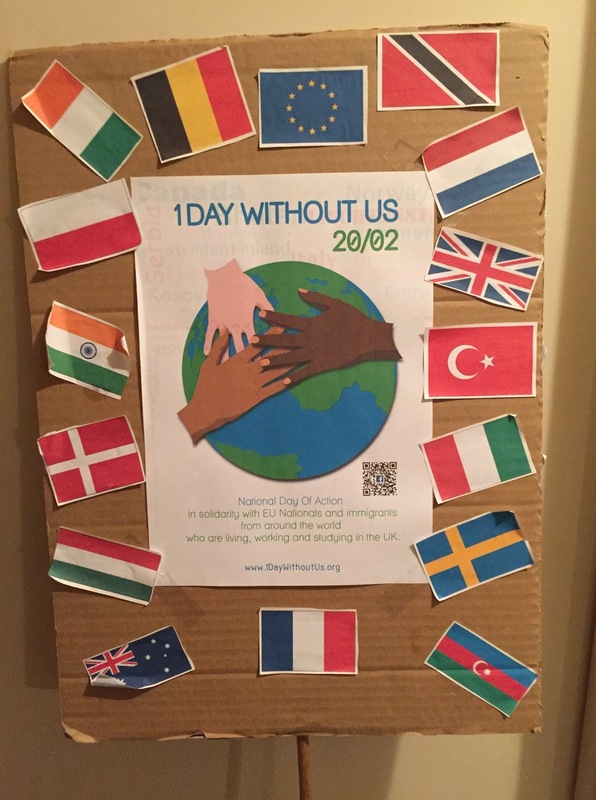 When I read about this some time ago I thought this was a great idea, especially since I am a migrant myself and I was getting a bit depressed at all the immigrant bashing going on in some of the mainstream media, about all the stories I heard from other people and the (luckily few) negative encounters I had myself ever since the referendum. I was wondering how to contribute to the day, desperate for some positive action, wondering should I go to London - and then when I saw online that other groups were planning small local events, I had the idea that it would be really nice to have an event here in a central place, where we could celebrate the economic, cultural and social contribution that migrants make to the UK - and possibly even meet some more like-minded people. That's when I thought about having an open picnic, as that makes it easier for people with children to join. 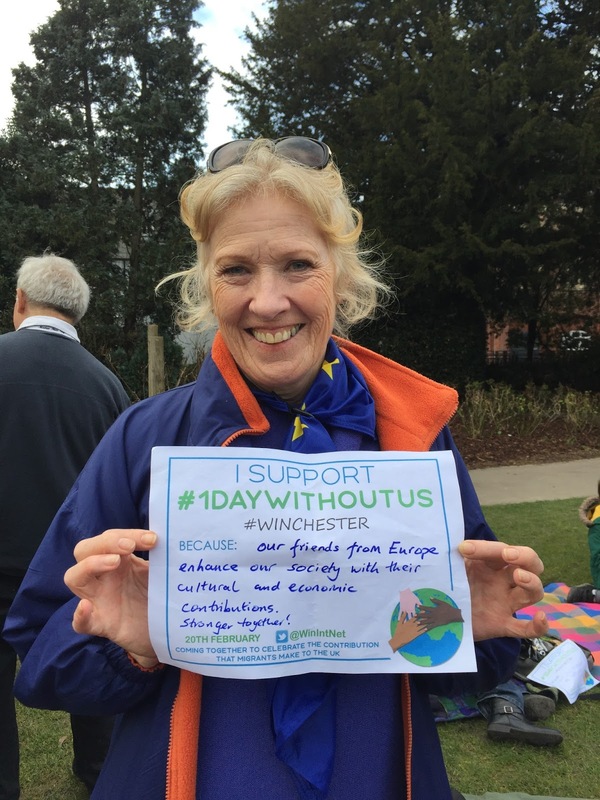 And there is a public park in the centre of Winchester, bingo! 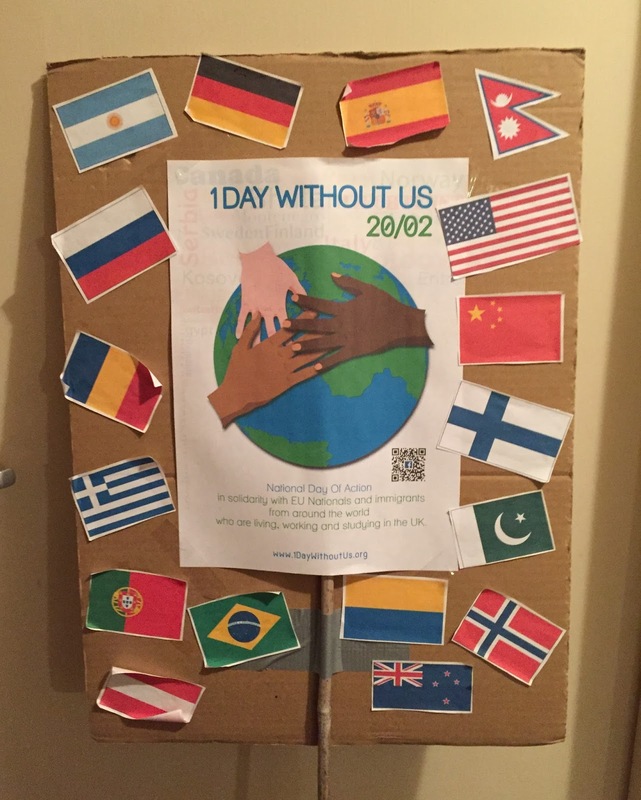 Setting this up was hectic, especially with the picnic being communicated only from 11 February onward. Considering the short time span, we did really well! In a way it was fine not to have more time, I didn't really want to fill up the whole park either as I wanted to have a chance to meet everyone. 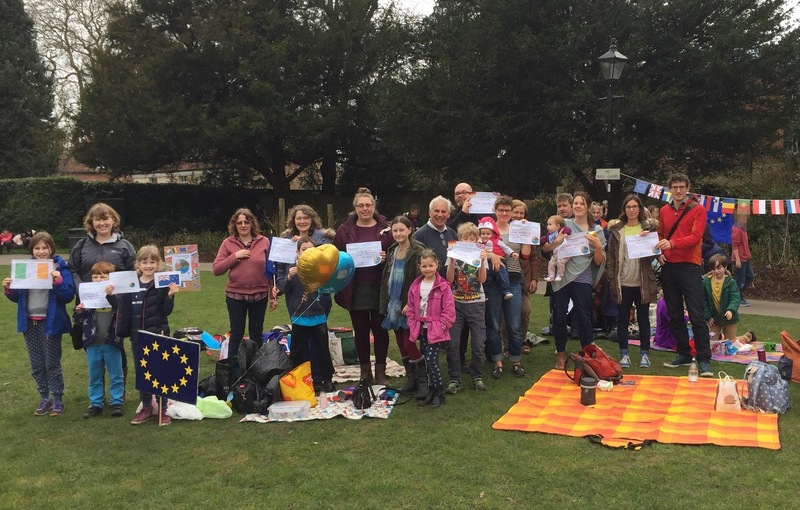 In the end about 20 to 30 people were there in total (with children). 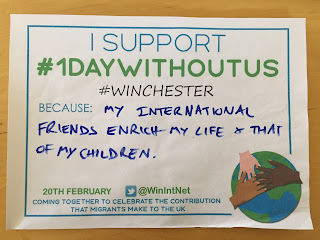 It was brilliant to meet every single one of them, especially as there were some people who I had never met before - and who simply wanted to celebrate the day with us. We also had a few passers-by who connected with the group and said they were happy to see us there and would have joined if they knew about the event! 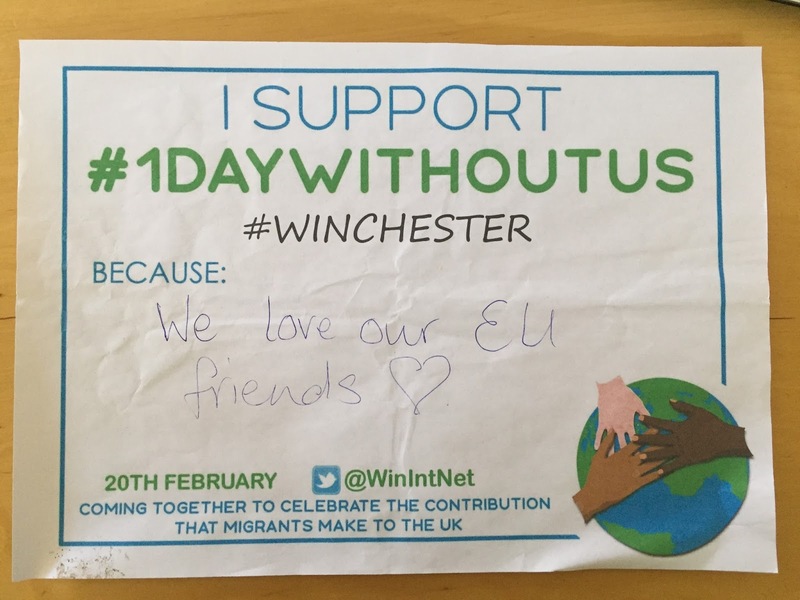 As an added bonus we unexpectedly had some students turn up who study Journalism at the University of Winchester and wanted to produce a piece for Winchester News Online about what we were doing. 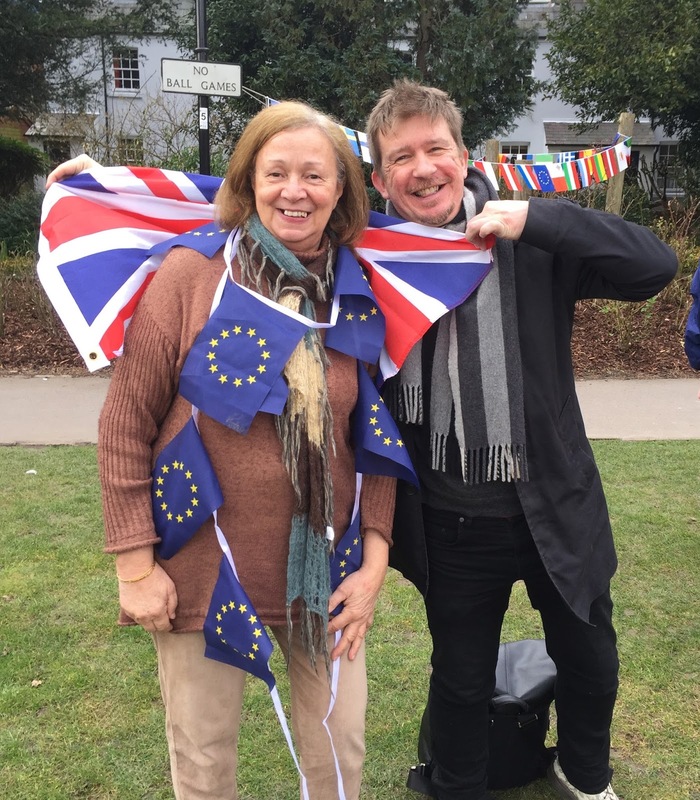 I'm looking forward to seeing their video report. 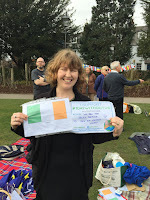 We also did get a brief visit by some City Council representatives telling us that we should have let them know beforehand what we were planning as this was in their mind a political event that would need permission on Council owned land. 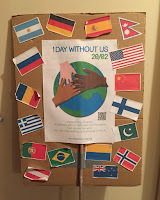 I saw it as a social event with a theme, just like a community picnic or a rambler group making a stop somewhere, and after we assured them there weren't going to be that many more people they left us alone. 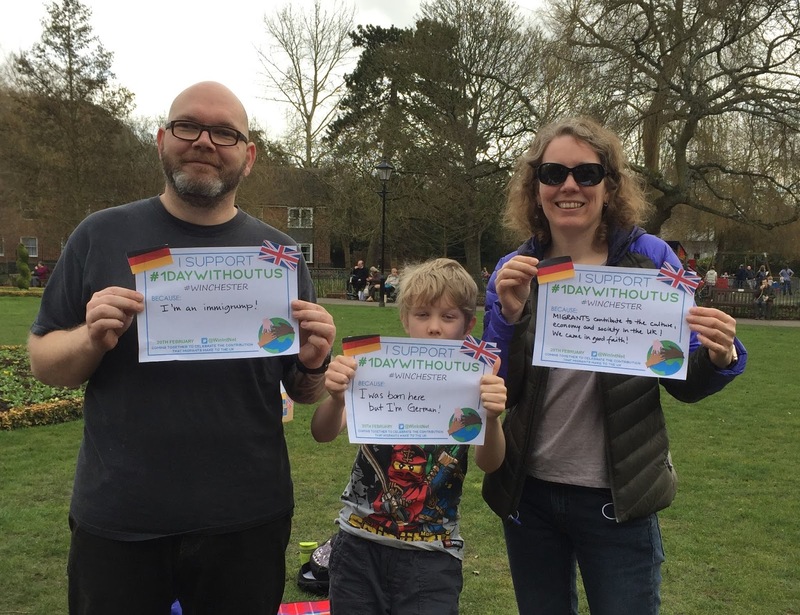 Most participants (and a friend who couldn't join) used the opportunity to tell us why they supported the day, see the photo gallery below. Sadly I didn't get as many photos as I would have liked to. 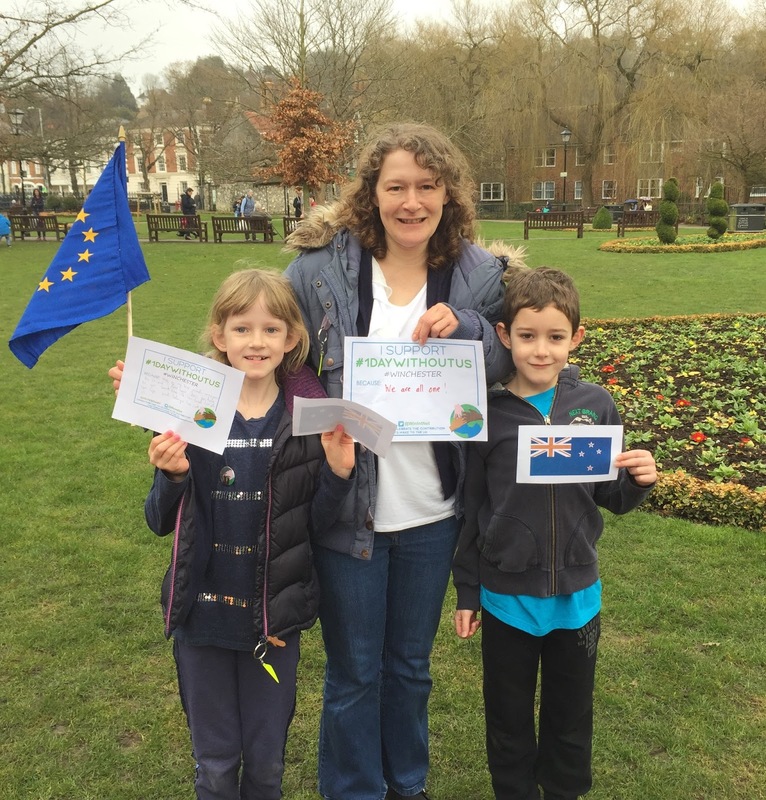 Thank you to everyone who joined me and my family!